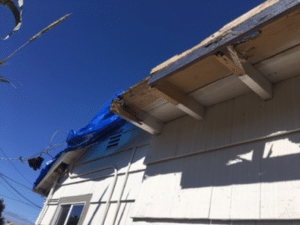 Not fixing your roof can be one of the most detrimental decisions you can even make. Out of sight, out of mind, is one of the most common things we hear when we ask patrons if they have considered fixing their roof or if they have checked on their roofs in the last little while. We have detailed a few things below to show you why it is important to fix your roof in time! The less you take care of your roof, the quicker decay can happen. The best way to manage roof related expenses is to get the most life out of the roof as you can. When you keep up a schedule of regular maintenance, repairs, and restorations, you end up avoiding costly fixes and full replacements. If you don’t, there is a chance that water can get into your house. It gets under the membrane of your room, and ends up damaging the deck, seams, and mechanical fasteners. If you have water under your roof in the colder months, you end up risking ice formation under the laps, which can expand and further damage and the tresses and roof. 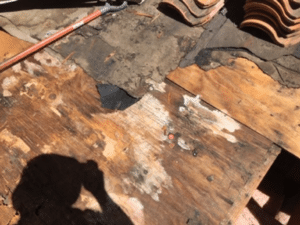 The worst part of roof leaks is that water can be the worst thing you have to deal with in any home renovations, especially once it gets inside. So don’t hesitate to give us a call today if you have any questions by this point. 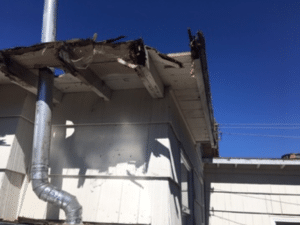 When insulation suffers from water damage it can do a number to your utility costs because instead of being an insulator, saving you money, it actually becomes a conductor, costing you additional money to heat and cool the building. 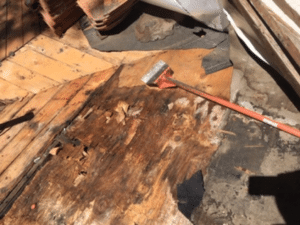 In addition to water being extremely difficult to get out, if it gets into the insulation it ends up being a breeding ground for mold and bacteria growth. As well, having openings in your roof allows for insect infestations. Costs to mitigate mold or exterminate insects can be extremely costly. Not to mention if you have a business this may cause code violations and disruptions to business operations. Sadly, it doesn’t take much before a water leak can cause other items of your home or building to deteriorate. Such as the walls, floors, and ceilings. Not only does this cause damage to your building but also damage to the item in your building such as furniture and inventory. So don’t wait any longer. With the winter season just around the corner, there is no time like the present to have your roof inspected today. Give us a call and we can give you the peace of mind over the holidays that everything will be okay and you and family will be safe. Bonus: We can guarantee your children that Santa can safely land on the roof and deliver their presents.